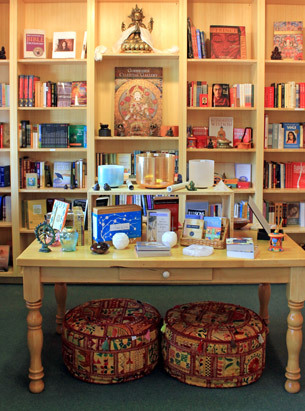 Focusing on truth, enlightenment and everything sacred, Spirit’s book collection includes titles on Buddhism, Hinduism, Shamanism, mystical Christianity, Awakening, Soul Purpose, Astrology, Quantum Physics, Sacred Geometry, Universal Expansion and more. Authors include, but are not limited to: Rumi, Parmahansa Yogananda, Joseph Campbell, The Dalai Lama, Pema Chödrön, Jack Kornfield, Krishnamurti, Alberto Villoldo, Masaro Emoto, Deepak Chopra, Karen Armstrong, Andrew Harvey, Don Miguel Ruiz, Eckhart Tolle, Bruce Lipton, Greg Braden, Lynne McTaggart, Abraham-Hicks, Shakti Gawain, Barbara Brennan, Julia Cameron, and Adyashanti. Spirit also offers a wide selection of books for children and young adults with mindfulness, self-empowerment and conscious themes. Some authors represented in our children’s book collection include: Thich Nhat Hanh, Eckhart Tolle, Deepak Chopra, Doreen Virtue, Jon Muth, Dan Millman and Neale Donald Walsch.